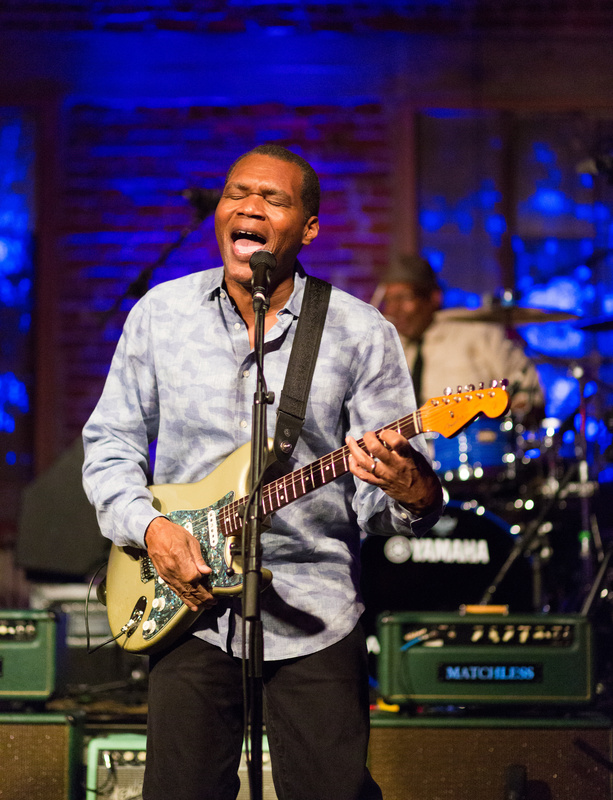 Robert Cray has been bridging the lines between blues, soul and R&B for the past four decades, with five grammy wins and over 20 acclaimed albums. For his latest project, Robert Cray & Hi Rhythm (April 28 / Jay-Vee Records), the Blues Hall of Famer traveled to Memphis with his friend, renowned Grammy Award winning producer Steve Jordan, to make a classical soul album with Hi Rhythm, the band that helped create that sound. Jordan and Cray met in 1987 while working on the concert film Hail! Rock and Roll, A Tribute to Chuck Berry. Steve produced Robert's Grammy winning Take Your Shoes Off in 1999, and a number of other albums, including the exciting 4 nights of 40 Years Live. He knew of Robert's deep love of O.V. Wright and other Memphis Soul Legends, and suggested they take up residence at Royal Studios, where Wright, Ann Pebbles, Al Green, Syl Johnson, Otis Clay and many others recorded with the venerable producer, songwriter, arranger and engineer, Willie Mitchell. The core of Mitchell's Hi Rhythm used on many of those landmark sessions was still around, though Mitchell himself was cutting those classics for Hi Records.